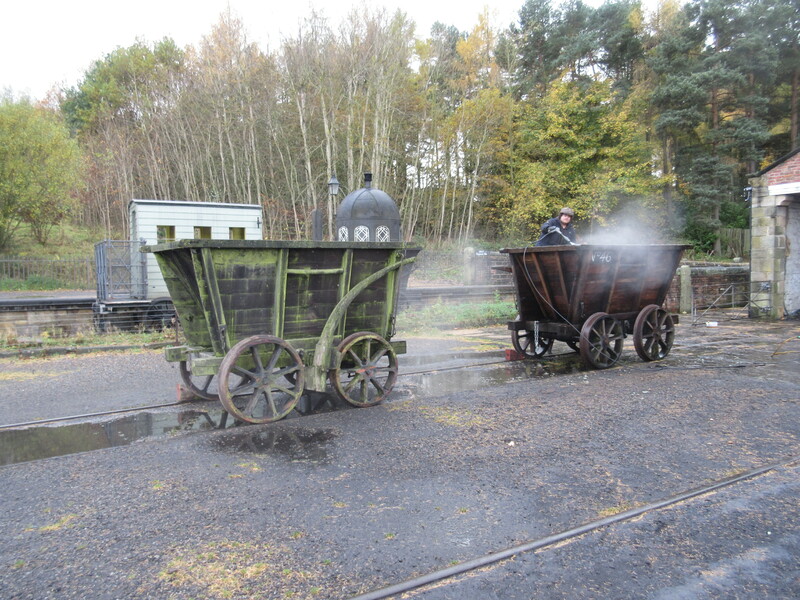 Below: For two seasons we have used the area adjacent to the Colliery boiler house for a ‘roadmaking’ type display at the Great North Steam Fair. 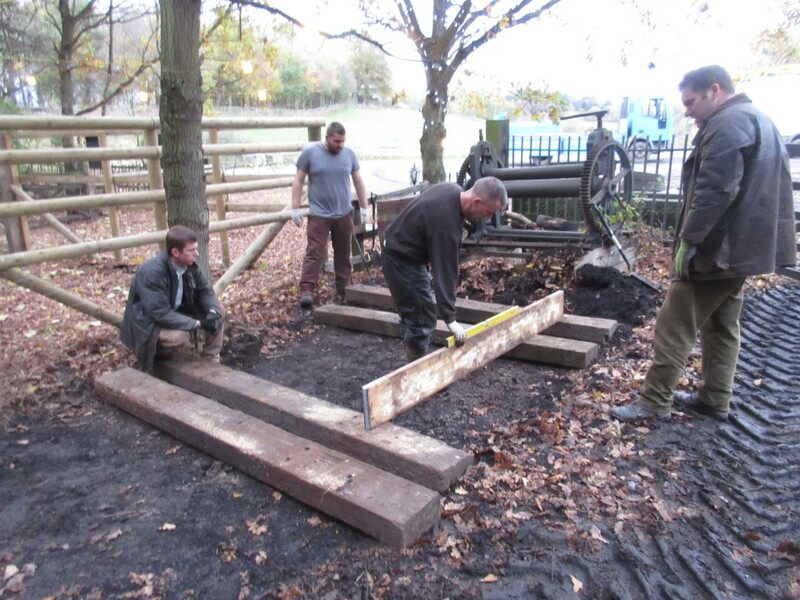 This year the display moved to the events field, but the accrued debris had become rather unsightly, so Darren and Mark have cleared this away leaving the concrete base here clean and ready for a new future, home to numerous industrial objects from the collections. We have some thoughts towards adding some engagement with visitors in this area too, and maybe progressing Samson’s shed which is adjacent. Meanwhile it looks a lot better for some housekeeping taking place! 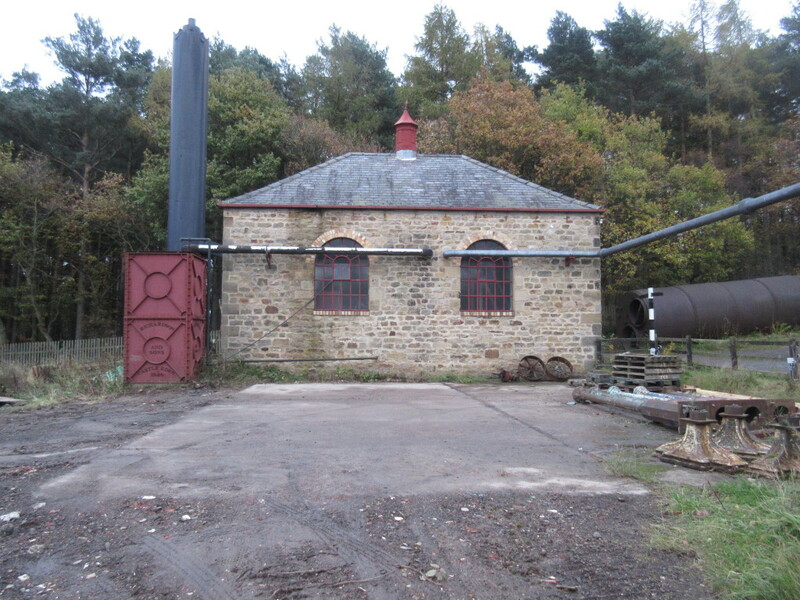 Below: We’ve seen the extended standard gauge headshunt before – this being the new loading/unloading area as well as providing access to the nearby sewage disposal reed bed. 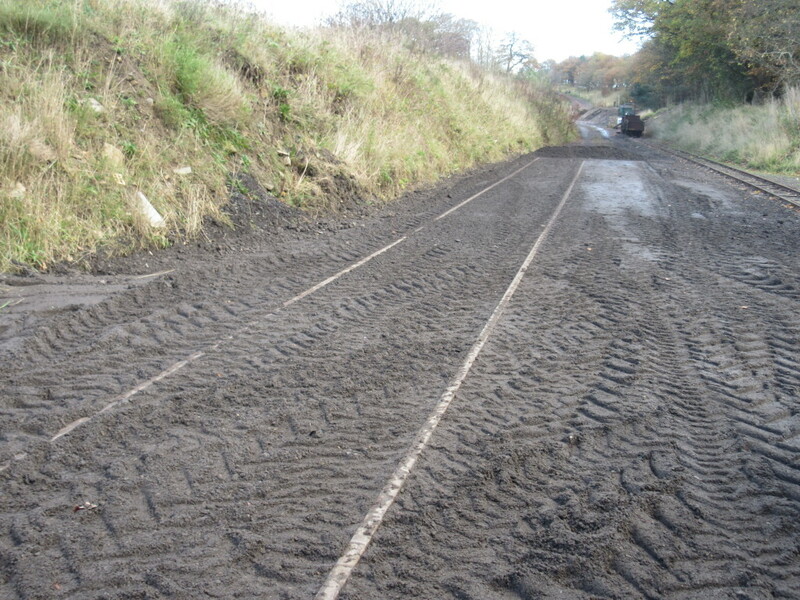 Below: Work was completed on Friday, with 100 tons of road planings being spread and rolled to make a hard area suitable for heavy lorries. 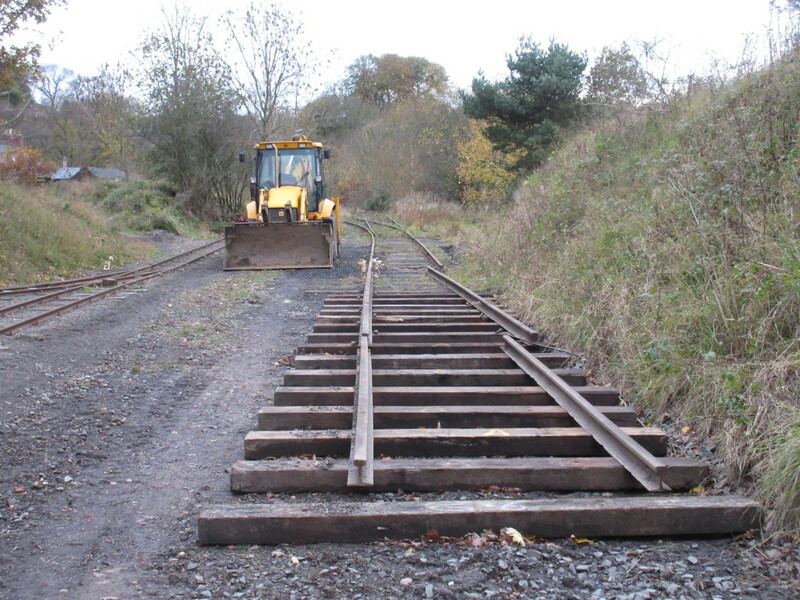 The narrow gauge has also received similar attention to improve the access to the rear of the Pit Village here. This view was taken before final completion of the work. Below: It would be fair to say that even with a great deal of planning, a lot of jobs arise that weren’t anticipated! The guys are seen building a foundation for a shed adjacent to the reindeer pen, where their moss/lichen food source can be stored safely. The shed will, in the future, become a grotto, freeing up the South Pier van body for re-use at the chip shop as a potato store. In total (and don’t tell the children!) there are six grottos, but peak loading in the past suggests a seventh may be prudent to have as a standby. Below: The timescale for lighting the site tends to be quite compressed, based on completing the assembly of all of the tents and sideshows, both at the Waggonway and at the Fairground. Hanging lights and wiring them into pre-prepared junction boxes has become this season’s ‘Fourth Bridge’ but the work to install permanent connections should ensure that next year and onwards the work to set up for the winter activities is rather more straightforward. That said, we will be revisiting quite a lot of the lighting on site, particularly around the Fairground and through the Colliery, next year, in order that period lighting infrastructure can be installed to better effect. 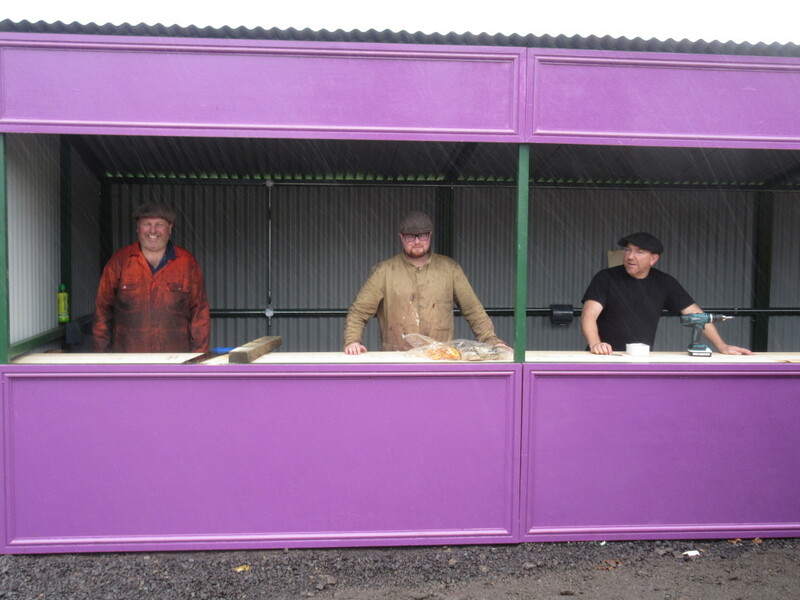 Below: Many of the familiar faces to visitors have donned less familiar overalls to help with the set-up across site, including quite involved construction and assembly. 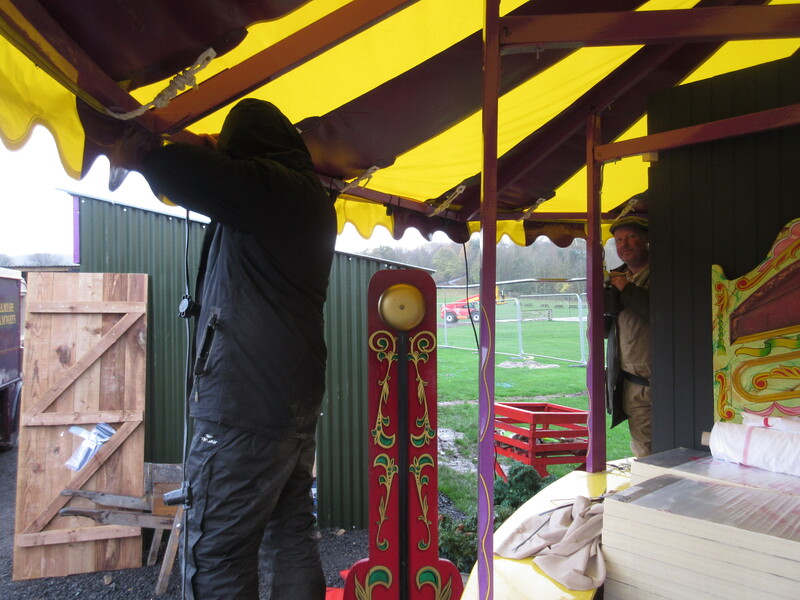 Here is one of the side-shows built for the Fairground, which through the winter will house retail and catering stock but next year will have amusements and side-shows for the spring, summer and autumn. So these buildings, and of course the teams manning them, have to be very versatile. 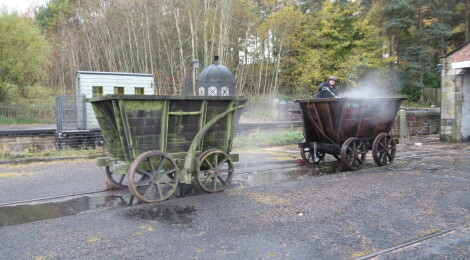 Below: The rather scruffy and tired looking chaldron waggons and dandy cart on the wooden waggonway have been brought up to the Great Shed for a tidy up, clean and re-application of linseed oil. The before and after is quite dramatic! 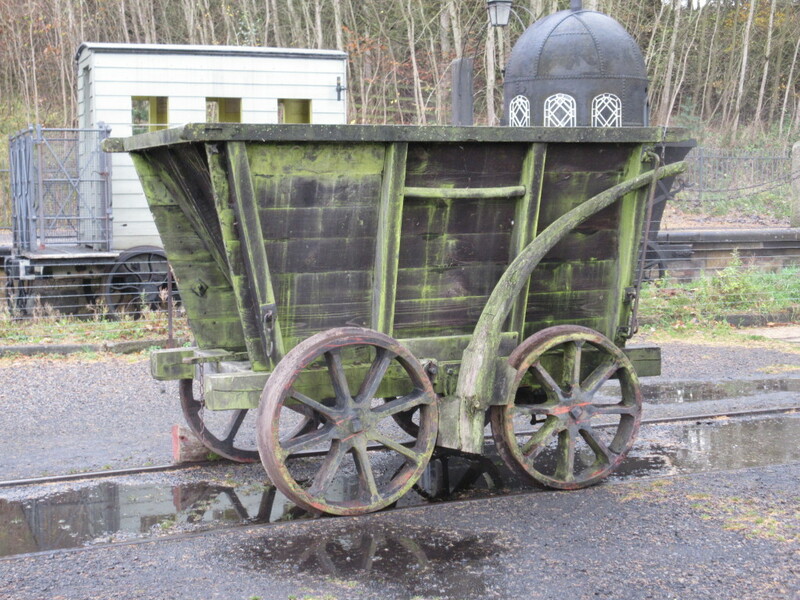 Below: The waggons were relocated to the wooden waggonway and have seen occasional use there, with horse traction. The wooden waggonway has become quite well established in terms of vegetation, and this has had a marked impact on the waggons, turning them green! 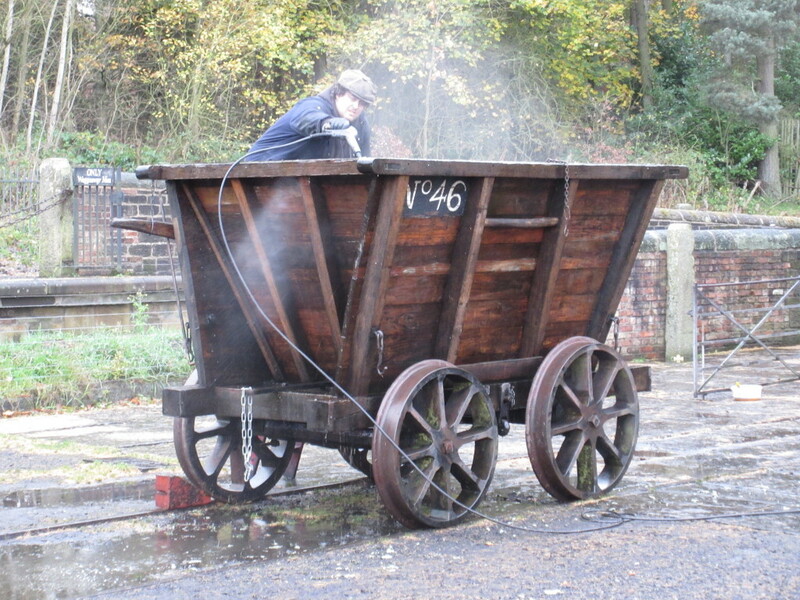 Below: Powerwashing and then application of linseed oil will ensure that for next season these three vehicles once again look the part, with the potential to operate over the short wooden rails demonstration route. Below: Inside Beamish Engine Works, No.18, No.1 (seen here) and Locomotion are undergoing various procedures. 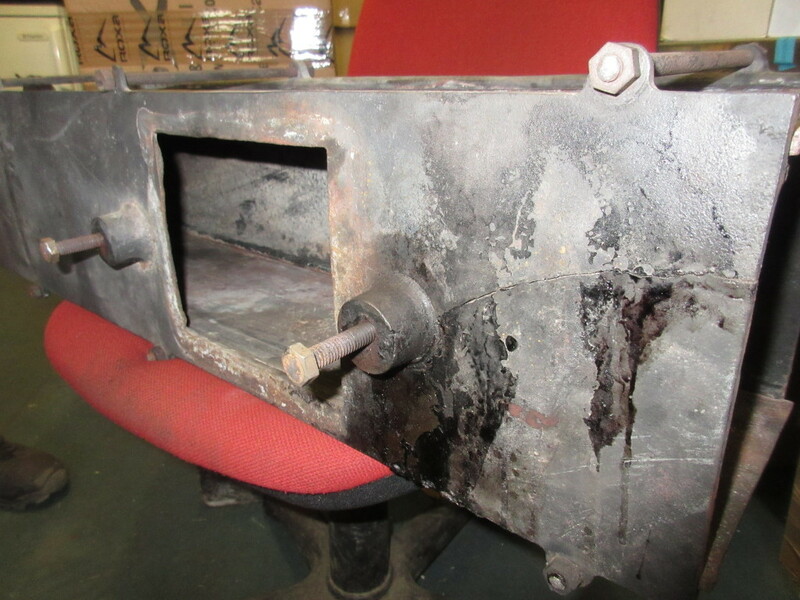 Coffee Pot, shown below, has had the lagging and cladding removed for the five yearly inspection of its lap joints (where the barrel sections overlap and are riveted to close the circle). 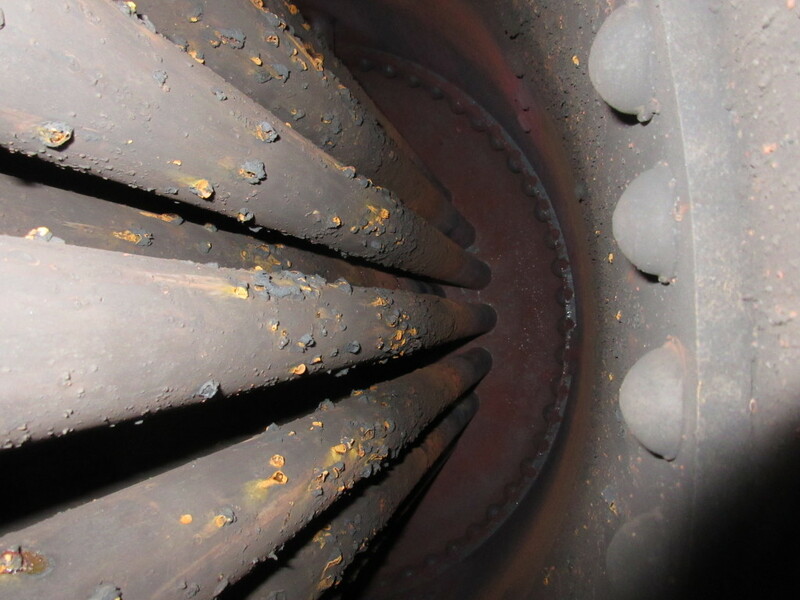 Historically lap joints were a known weak spot, but when this boiler was built in 2008/9 it was able to benefit from modern rolling methods to ensure a true circle was created. 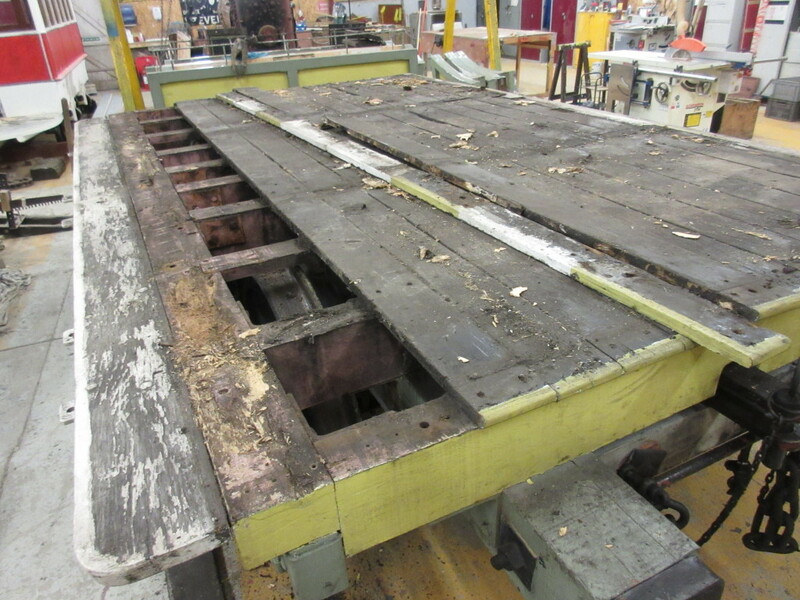 An NDT has been carried out, revealing the plate to be in excellent condition. New lagging and the existing cladding will be re-fitted shortly. 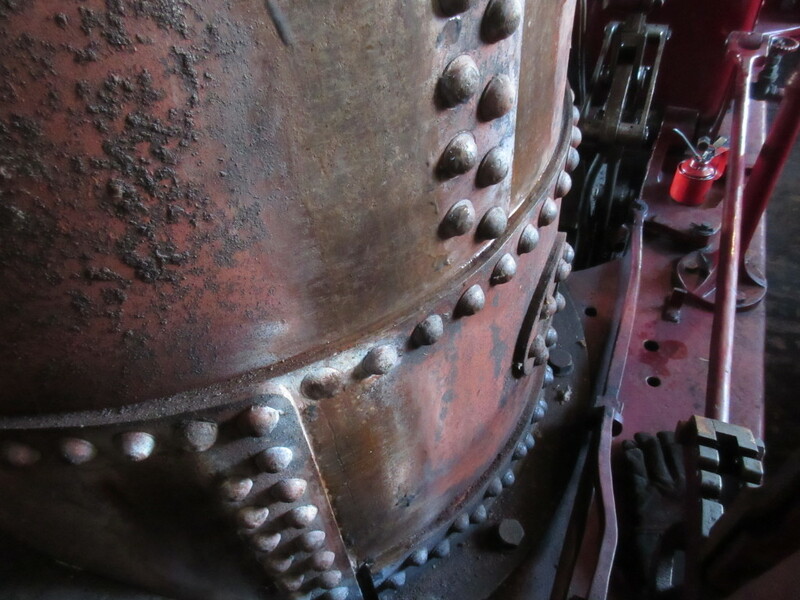 Below: A view inside Coffee Pot’s boiler, showing the firebox crown and the tubes passing vertically from this towards the smokebox. 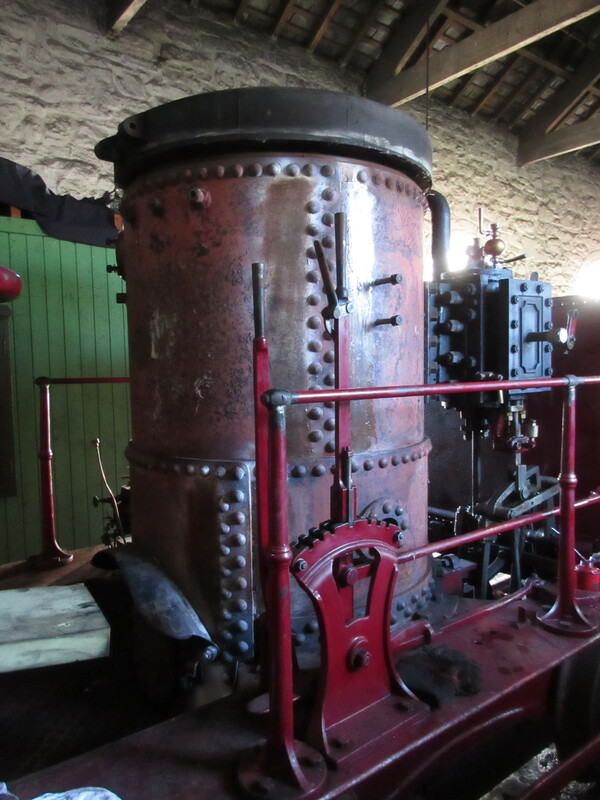 Below: The same tubes are seen starching upwards towards the smokebox tubeplate. All is well and the loco will be one of the first ready for its steam test. Below: The lap joints, of which there are two as there are two barrel sections. 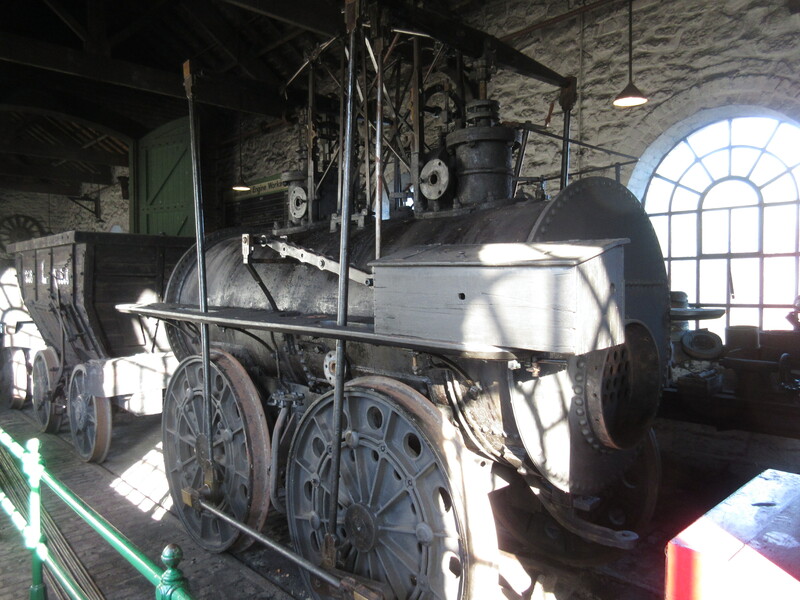 Below: Locomotion No.1 is seen with its naked boiler following its first exam. 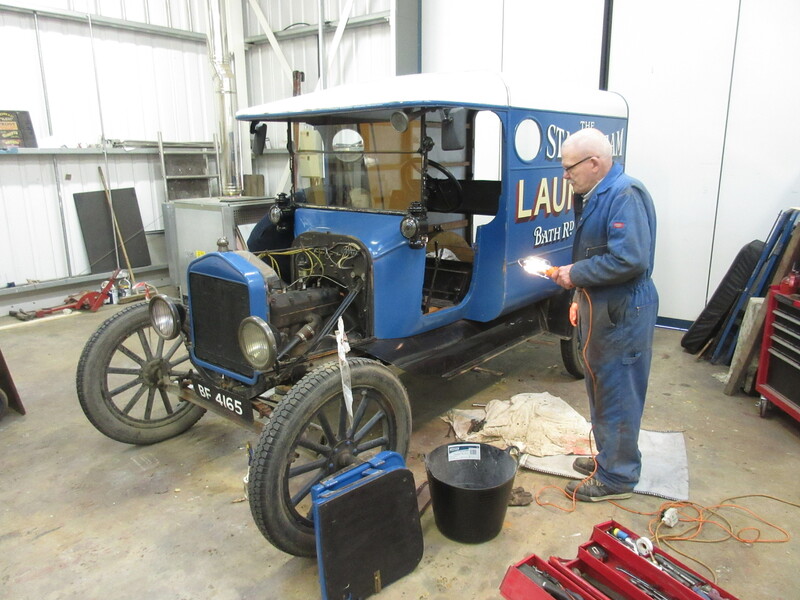 There is some work to carry out, and we may bite the bullet and turn this into a thorough overhaul – the engine is 40 years old and has been operating in the current guise for 20 years, being re-tubed 10 years ago. We are looking at our options but would like to ensure it is fit and well within-ticket for 2025, the 200th anniversary of the Stockton & Darlington Railway when I would imagine it could be in some demand then. 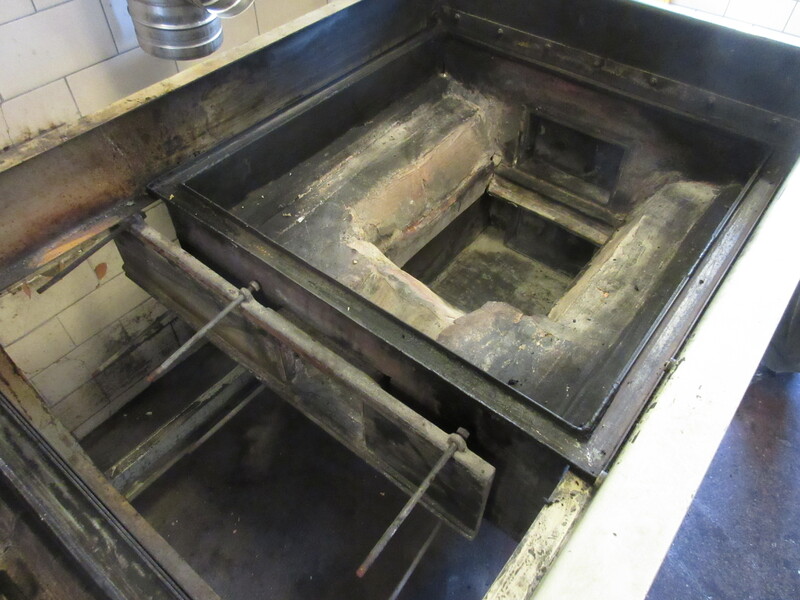 Below: A ‘running renewal’ job in the workshop at the moment is the repair to a flue within one of the chip ranges in Davies’ Fish Shop. 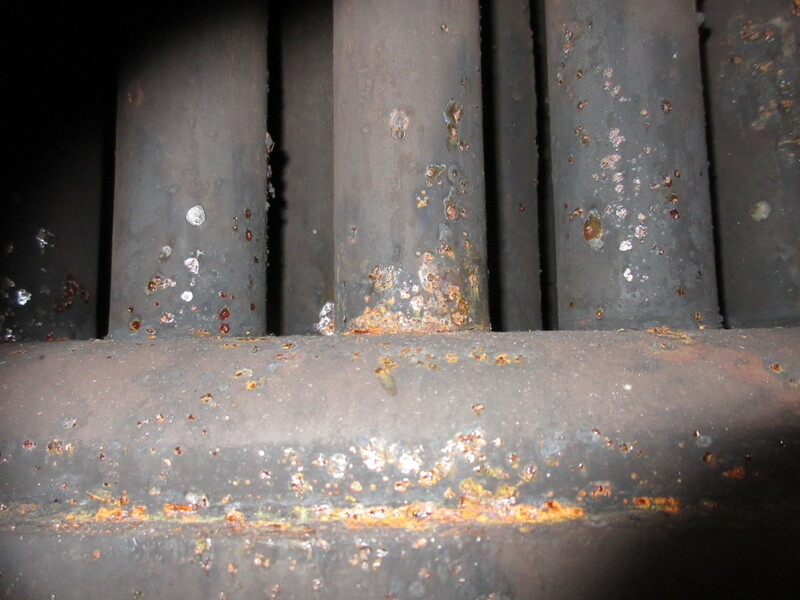 The flue has been cracked and requires renewal before reassembly and testing. Chris has this work in hand and will manufacture a new piece to replace the cracked section (clearly visible in the lower photograph). 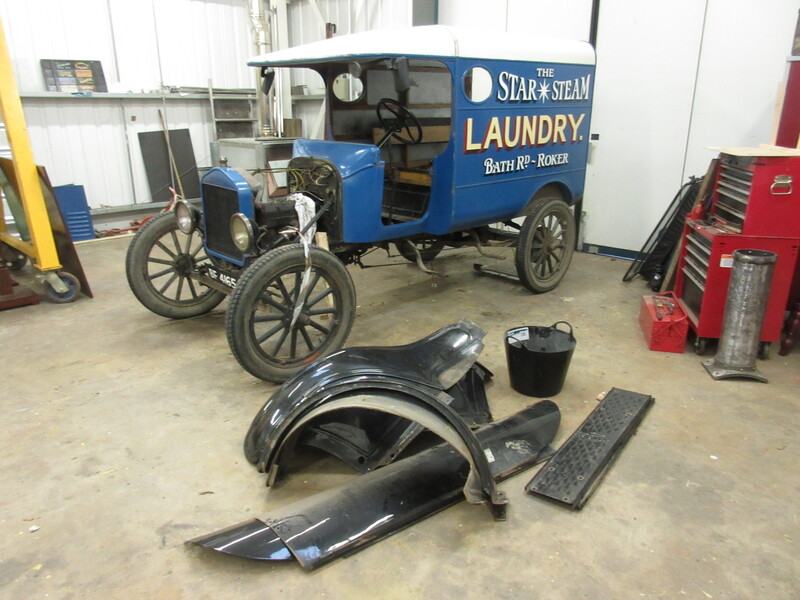 As one of the most popular exhibits, the repair is one with a short turnaround anticipated. Below: Our collection of Cubs and spares continues to develop! 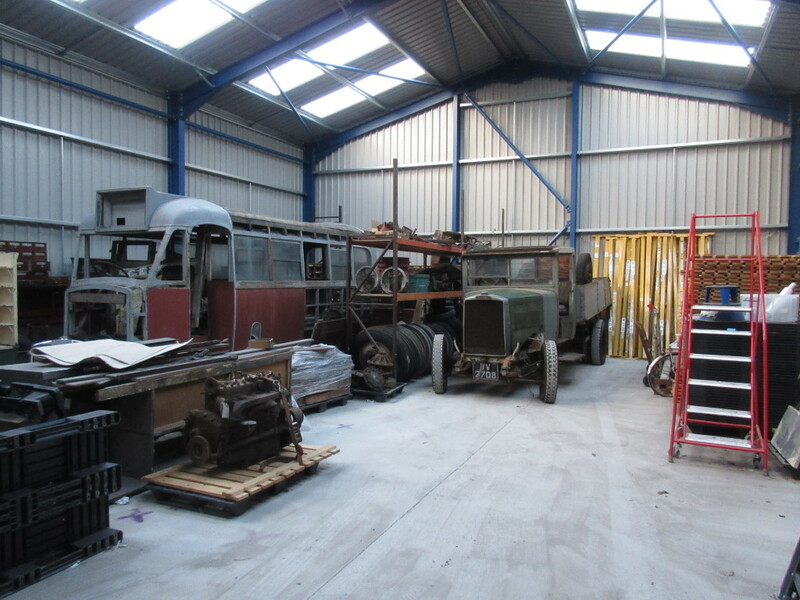 Here, within the barn adjacent to the RHEC are the ex West Riding bus No.560 and the KG3 lorry, now stored here. The racks between them contain Cub spares. This building will, in due course, become a new shop for the RHEC, specialising in vehicle restoration. Tony and I will give this some thought in the new year, meanwhile the space becoming available means we can bring in some of the working fleet from the cold for the winter. 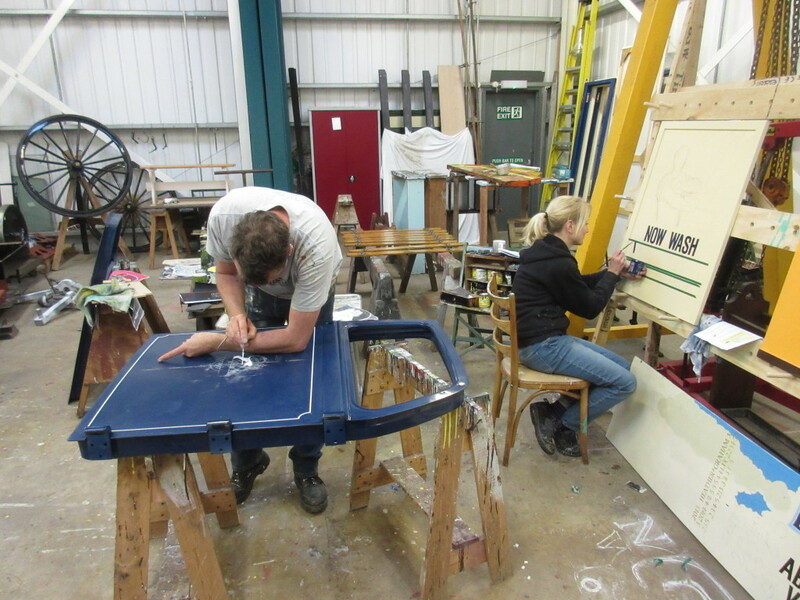 Below: Lots of painting us underway in the Finishing Shop, with Sarah working on farm signage (with a WW2 theme) as she continues here apprenticeship with Phil Anderson (working on doors for project unrelated to Beamish). 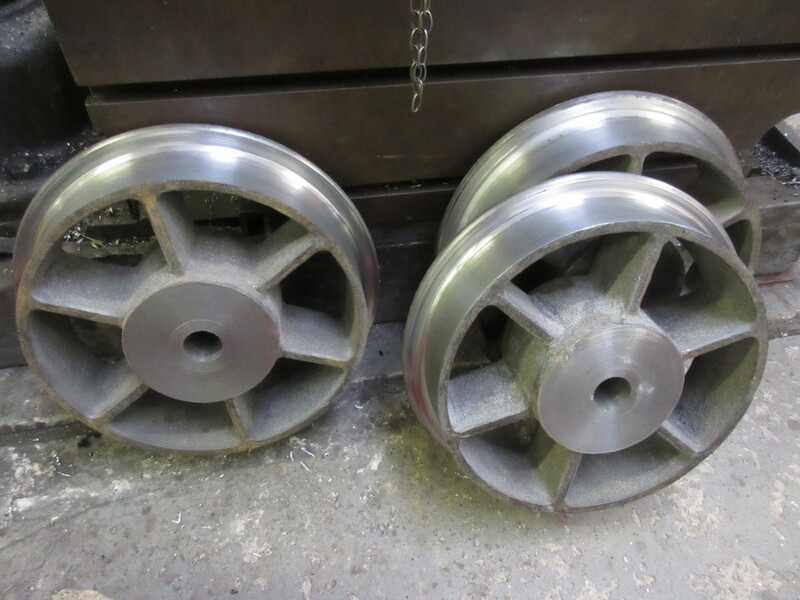 Whilst the boiler for Samson will see further work next week, Dave has been working on the new wheelsets for the lead mine tub which will form a tender/support waggon for the locomotive. 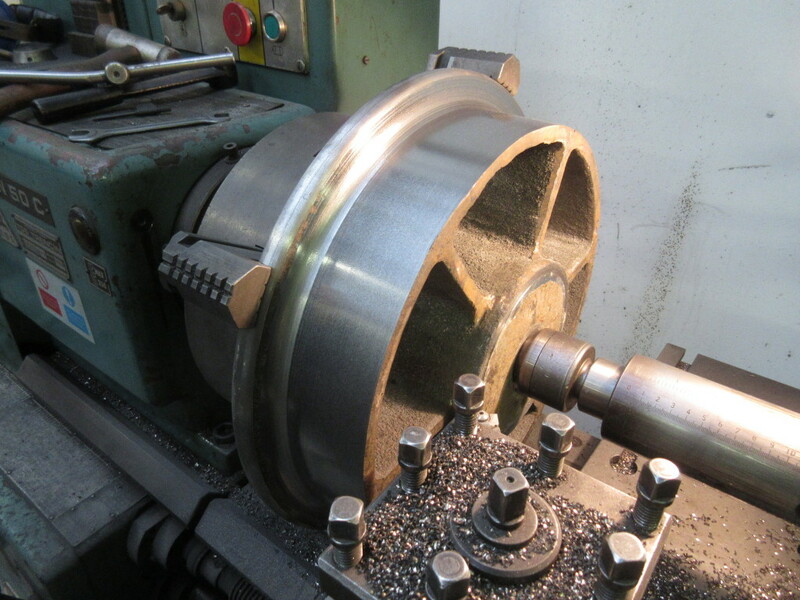 All four wheels have been faced, the flanges machined and the tread turned. They will be pressed onto the axles before final dressing and tidying up. 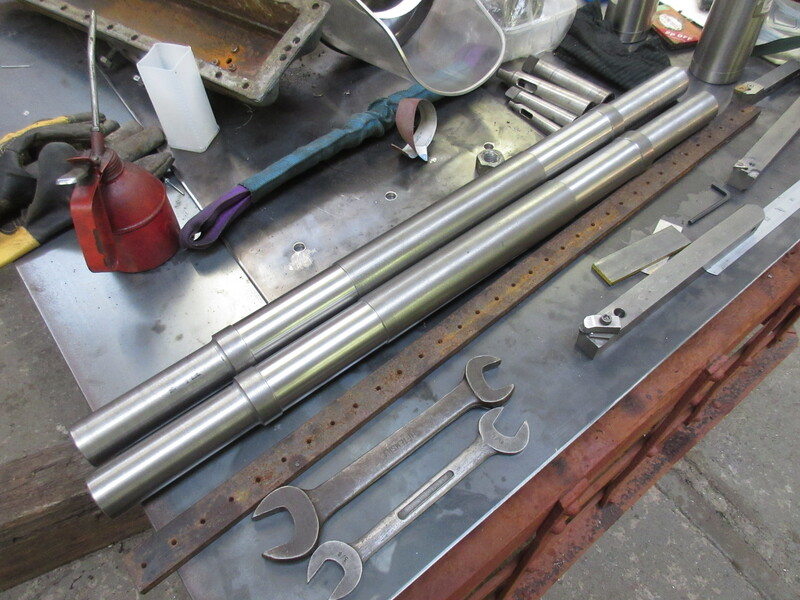 Dave has made patterns for a new axlebox/pedestal, so we will have these cast as soon as we can in order for the rolling chassis of this part of the project to be completed.